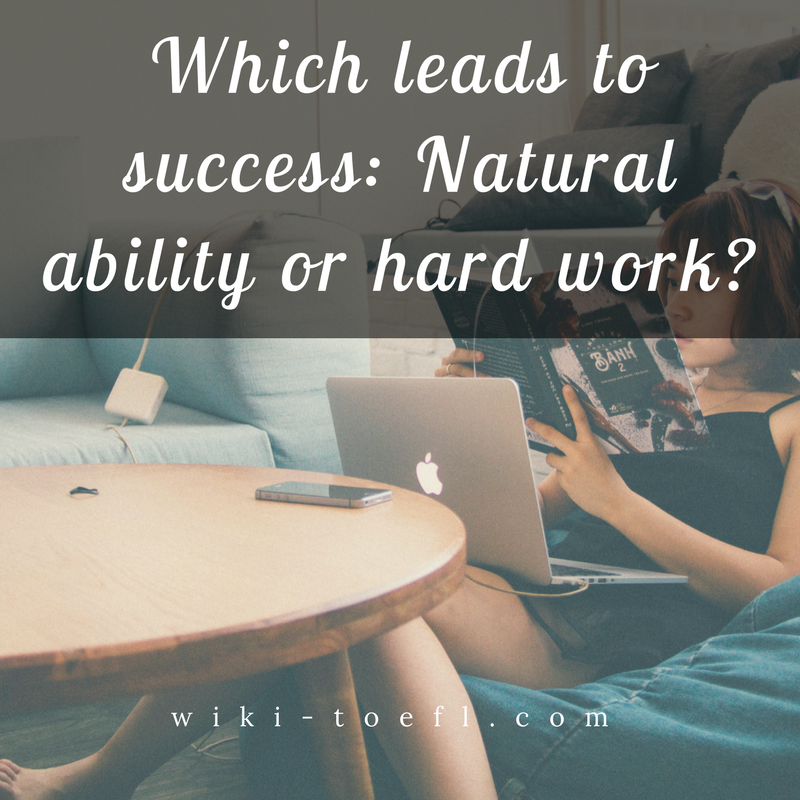 Home Writing	Which is more important for success: the natural ability or hard work? Without a doubt, hard work is a much better predictor of success than natural ability. In my experience, I have seen this at work in sports, school, and work. Many athletes have a natural ability to run the fastest mile or kick the ball the most accurately. Unless they work hard though, they will not be stars. They need to train daily, eat properly, live correctly. It takes hard work to be Number One. At school, I have seen many very bright students do poorly on exams. They count on their intelligence to get them through. However, unless they do their homework every day, participate in class discussions, and study for exams, they will be the bottoms of the class. Many salespeople can talk with anyone and convince him or her to buy something. They have a natural ability to sell. They must however apply some hard work to this skill. They must learn a lot about their customers, about the product they are selling, and about the market, they must put some effort into the paper work that goes along with the sale. If they don’t follow through, the sale will not be made. Whatever the area, whether on the playing field, at school, or on the sales floor, a person must not rely on his natural ability along if he or she wants to succeed. They must work hard to be a success.